Love that bright eye and the slightly Roman nose on him…. 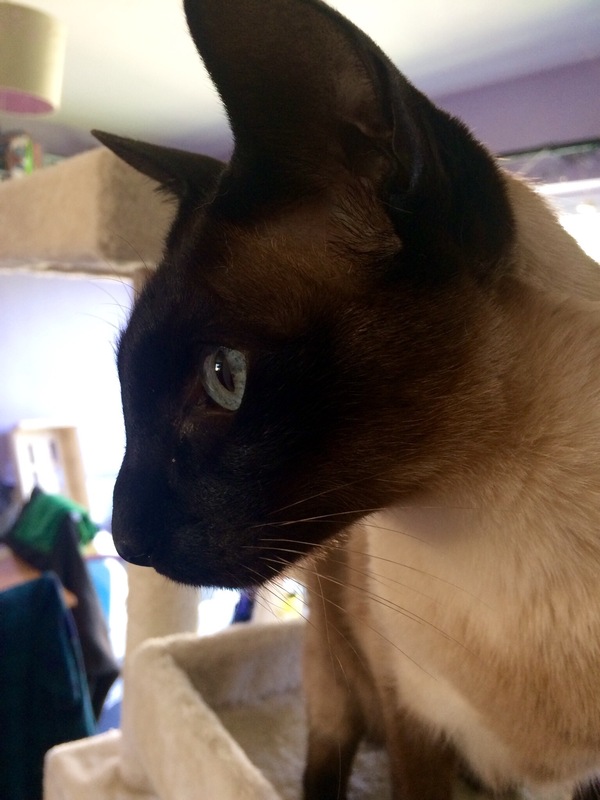 He is all nose 🙂 I grew up with the classic ‘apple head’ Siamese, but they are nearly impossible to find here. Well, 9 years ago they were! He is like Ms C’s Boo, with other cats anyway. 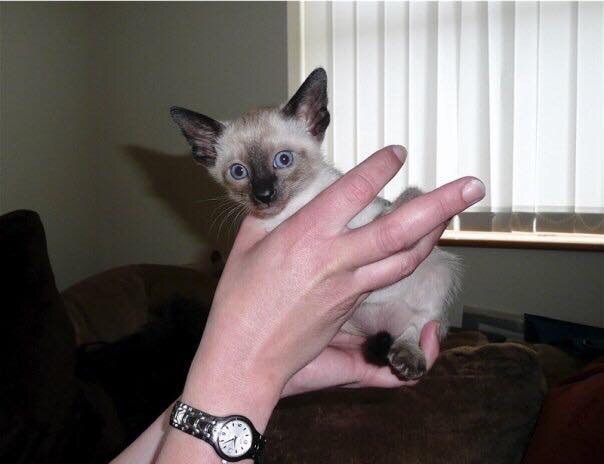 Male Siamese do love kittens! It’s so hard to remember he was the kitten we had to convince Spot to love. HAPPY BIRTHDAY you darling kitty! Happy Birthday, Loki! You were sure one cute kitten! Sometimes I think wisdom is packed in kitten’s/puppies’ ears and they grow into both. What a charmer. Happy Mirthday to you! Hope “The Kitten” had a Happy Ninth B-Day!